Sanders Family Dental | We love to see you smile! Welcome to Sanders Family Dental. 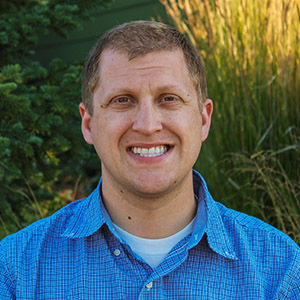 Dr. Kevin Sanders and his friendly staff are committed to providing excellent care to the residents in Spokane Valley and outlying areas. By taking the time to advise and educate, Dr. Sanders gives his patients the confidence they need to make informed decisions on maintaining, preventing and improving their oral health. Dr. Sanders and his dedicated team strive to help each patient feel comfortable while providing the individualized attention they deserve. At Sanders Family Dental,we provide general dentistry, cosmetic dentistry and oral surgery. Our dental services include: root canals, extractions, implants, crowns, Invisalign, dentures, bridges, veneers and teeth whitening. We accept most insurances and are contracted with several including: Delta Dental, Cigna, United Concordia, Assurant, and Aetna. Sanders Family Dental is conveniently located off I-90 on the corner of Broadway and Argonne Rd. Our hours are Monday thru Thursday 8am-5pm. Accepting new patients and after hour emergencies. Please call for an appointment! We love to see you smile! There has never been a better time to ensure a lifetime of oral health. Please feel free to contact our office to schedule your appointment with Dr. Sanders today! Dr. Kevin Sanders was raised in Pasco, WA. He earned his Bachelors in Biology from Eastern Washington University in 2011 and then graduated from Marquette University School of Dentistry in 2015. Dr. Sanders is board certified and is consistently looking for opportunities to learn and grow. He plans on attending as many continuing education courses and seminars that he can in order to keep up to date on new techniques so he can provide the best dental care possible. Dr. Sanders has been married to his lovely wife Natalie since 2003 and together they have 4 wonderful children. He enjoys date nights with his wife and being outdoors with the kids; playing sports, riding bikes, swimming, hiking, camping, and snowboarding. He also has a love for the arts, he loves music and has recently taken up woodworking as a hobby. Dr. Sanders is honest, hardworking, caring, and friendly and thrives on patient satisfaction. He is excited to be back in Spokane and is looking forward to serving in the Spokane Valley community.